This chapter refers only to the regulations concerning sociedades anónimas, public companies limited by shares, one of the various forms companies can take under Portuguese law, since this is the most common one among listed companies and medium to large companies. 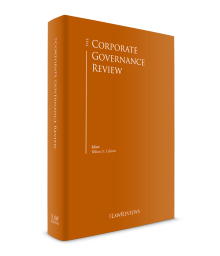 The Portuguese legal framework regarding corporate governance rules is generally provided for in the Companies Code (PCC) and in the Securities Code (PSC), with sector-specific legislation being also of relevance (e.g., for financial institutions and state-owned companies). Alongside these provisions, there are several other ‘soft law’ instruments, the most relevant ones being the recommendations issued by the Securities Commission (CMVM), applicable to listed companies but also used as best practice guidance for other companies, and the recommendations issued by the Portuguese Central Bank (BdP) concerning governance of financial institutions. 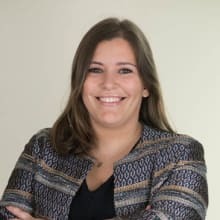 On January 2018, the Corporate Governance Code (CGC) issued by the Portuguese Institute of Corporate Governance became applicable to the companies under the supervision of CMVM, in a move towards self-regulation that is being promoted by CMVM and aligned with best international practices on this matter, but still on a comply or explain basis. The classic model (also known as the ‘Latin model’) establishes a single management body, a sole director (only admissible for companies with a share capital not exceeding €200,000) or a board of directors (BoD), with a variable number of members (minimum of two) as freely defined by the by-laws. Therefore, the classic model is considered a one-tier structure. Regarding the auditing body, the PCC foresees the existence of a simple structure or a reinforced structure, depending on the appointment of a sole auditor (which must be a chartered accountant) or of a supervisory board (with a minimum of three members, one of which needs to be a chartered accountant) for the simple structure, and for the reinforced structure, a supervisory board plus a chartered accountant,. companies that are issuers of securities admitted to trading on a regulated market. The Anglo-Saxon model establishes a single management body, a BoD, which includes an audit committee. No sole director is admissible in this model. Regarding the auditing body, the audit committee is composed of at least three directors, with non-executive powers, who are responsible for the supervision of the activities of the executive committee (i.e., the members of the audit committee perform similar functions to the ones exercised by the supervisory board under the classic model described above). In this model, the auditing body also includes an external chartered accountant. In view of the above, the Anglo-Saxon model has the characteristics of a one-tier structure. Under the German model, the management of the company is entrusted to a BoD composed of a variable number of executive directors only, in accordance with the by-laws, or to a sole director (only admissible for companies with a share capital that does not exceed €200,000). The directors may be appointed by the general and supervisory board or by the shareholders’ general meeting (SGM), if provided by the by-laws. The general and supervisory board combines typical competences of the supervisory board and of the SGM. Even though it does not have management powers, there are certain categories of management acts to be adopted by the BoD that can be subject by the by-laws of the company to a prior consent of the general and supervisory board. Therefore, this model is a two-tier structure. The number of members of the general and supervisory board is set out in the by-laws and shall be higher than the number of directors. In this model, the auditing body also includes an external chartered accountant. In the case of listed companies and large public companies, the creation by the general and supervisory board of a committee for financial affairs is mandatory. 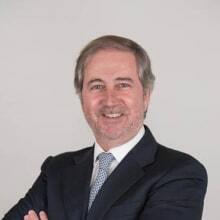 Although the classic model is predominant in the Portuguese corporate landscape, listed companies and large public companies are adapting their corporate structures to the Anglo-Saxon model, which is perceived to better address the corporate governance guidelines issued and enforced by the CMVM and by the BdP. The BoD is responsible for managing the activities of the company. However, and as previously discussed, members of the audit committee in the Anglo-Saxon model are legally prevented from carrying out executive tasks. The company’s by-laws may authorise the BoD to delegate the day-to-day management of the company to one or more directors (executive directors) or to an executive committee (in the classic model and Anglo-Saxon model only), the latter being recommended under the CGC. Moreover, the BoD may also grant powers to a specific director or several directors to deal with certain aspects of the management of the company, unless the by-laws prohibit this scenario, and the BoD may delegate managing duties to certain directors. It is also very common, namely in large stock companies and listed companies, and in accordance with the CGC, the creation of special committees by the management body, with or without the participation of its members, and with duties to assist on specific matters. The chairman of the BoD, to be appointed by the BoD unless if the by-laws attribute such choice to the SGM, may be entitled with casting vote whenever the BoD is composed of an even number of directors or if provided by the by-laws. The chair is also responsible for convening the BoD’ meetings and chairing the meetings. Although under the PCC there is no requirement for the roles of CEO and chair to be attributed to different persons, the CGC recommends that, if the chairman is an executive director, then mechanisms for the coordination of the non-executive directors are effectively put in place. Representation of the company is also attributed by law to the BoD, which can, nonetheless, attribute powers to certain directors to execute specific management decisions. However, powers to bind the company are freely defined in the company’s by-laws, rendering any act that is taken by those persons entitled by the by-laws to bind the company without a prior decision of the BoD to be valid and binding on the company. In the classic and Anglo-Saxon models, directors are appointed and dismissed by the SGM, with the supervisory board or the audit committee, respectively, being entitled to suspend directors which are temporarily unable to duly perform their mandate. In the German model, appointment, suspension and dismissal of directors is attributed to the general and supervisory board, unless the by-laws entrust such power to the SGM. However, in any case, listed companies are also required to include in the by-laws a mechanism enabling that at least one director is appointed by the minority shareholders under certain conditions. Terms of office can go up to four years, as defined in the company’s by-laws and being freely renewed; however, directors remain in office after the lapse of such term until the date in which new directors are appointed or until the end of the month subsequent to the month in which the director delivered his or her resignation to the company, whichever occurs first. Directors are required to be natural persons. If a legal person is appointed as director, it is required to appoint a natural person to act as director for its own name and account, with the legal person being jointly responsible with the natural person for the performance by the second of its director duties. Independence requirements are only imposed by the PCC in respect of the audit committee. It is required that for listed companies and large public companies, at least one of its members has higher education adequate to the performance of its duties and is knowledgeable in auditing or accounting, and, for listed companies, that most of its members are independent directors (e.g., that they are not associated with any specific set of interests in the company and that they are not in any situation that may hinder the directors’ analysis and decision capacity). In addition, the members of the audit committee are subject to incompatibility provisions, requiring that, among others, they are not members of the management bodies of companies that are in a group relationship with the company where they serve as members of the audit committee. Under the German model, directors are subject to specific incompatibility requirements, namely being required to not be a member of the general and supervisory board. However, the CGC recommends that each company should include as non-executive directors an adequate number of independent directors. In addition, Law No. 62/2017, of 1 August imposed that listed companies have in their management (and supervisory) bodies, as from the first elective SGM after 1 January 2018, women representing at least 20 per cent of the total members of such bodies and, as from the first elective SGM after 1 January 2020, women representing at least 33.3 per cent of the total members of such bodies. This was a measure already recommended by the CGC. a duty of loyalty (performance according to the company’s interest, to the shareholders’ long-term interests and to the interests of the remaining stakeholders). Non-executive directors are also subject to a special duty of vigilance (regarding the performance of the executive directors). As such, all directors (both executive and non-executive) are entitled to the same level of information, at the same time and can request any information from the company they manage as they deem necessary to the adequate performance of those duties. to ensure conformity between actions and respective records and publications. Compliance with these duties implies that the directors shall not accept the mandate if the director does not have the necessary personal and professional conditions to carry out the mandate in adequate form (e.g., if he or she does not have the time or necessary knowledge and preparation to take on the position) and that the director must be duly informed when decision-making, for which the director must request all necessary information and endeavour to obtain the same, including any expert advice the director finds necessary for deciding. Moreover, directors of the company shall be always mindful of the confidentiality obligation that they owe to the company as a director and that the directors always review board documentation and raise any points of concern, making sure that any such points of concern are duly reflected in the minutes of the meeting and that the directors vote against any decisions that they find to be in breach of their duties. Special assessment should be exercised when considering transactions entered into between the company and another director or a shareholder of the company (or persons or entities related with a director or with a shareholder), and when considering the granting of any loans or guarantees by the company to persons or entities related with a director or a shareholder. two-tier management structure model (German model): remuneration of directors is determined by the general and supervisory board or by its remuneration committee, except if the company’s by-laws specifically attribute such competence to the SGM or to a remuneration committee appointed by the latter. In all three governance models, the remuneration of the members of the management body may comprise a fixed and a variable component, the latter including profit-sharing; however, the Audit Committee members are only entitled to a fixed remuneration (such rule being recommended under the CGC to apply to all non-executive directors). The maximum percentage of profits to be attributed to directors shall be specifically authorised in the by-laws. Law No. 28/2009, 19 June, imposes on public interest entities (as defined in Article 3 of the Annex to Law No. 148/2015, 9 September) disclosure obligations regarding the remuneration policy of the members of the management (and supervisory) body, implementing a ‘say on pay’ rule. Under the CGC, further recommendations are issued with a view to ensure that the remuneration scheme of the company: (1) adequately remunerates the responsibility taken, the availability and the competencies put to the company’s benefit; (2) is aligned with its long-term interests, and (3) rewards performance. Breach of duties by the directors gives cause for civil liability, which shall arise from a court’s decision, but which cannot be limited or excluded by agreement. the actions of the directors were based on a shareholders’ resolution. Directors are required to guarantee their liability by delivering a bond or taking on an insurance with a minimum coverage of €50,000 (or €250,000 for listed companies); however, such guarantee is legally waived for non-executive directors that are not remunerated as such and may be waived by the SGM to other directors (such waiver is, however, not permitted for listed companies and for large public companies). Directors are also subject to tax-related liability (civil or criminal liability), liability over administrative offences, criminal liability and civil liability within the context of insolvency and environmental affairs. The company’s auditing bodies and their tasks vary from corporate model to corporate model, as previously discussed. However, broadly the auditing bodies are responsible for the ongoing supervision of the company’s activity, especially financially and accounting-wise. This is not absolute; for instance, any agreement to be entered between the company and its directors, if lawful, must be preceded by an opinion of the company’s auditing body. In addition, the members of the auditing bodies are subject to the same duties of care and diligence to which the directors are bound on the performance of their mandate and can, likewise, be liable towards the company and its stakeholders for breach of such duties. Considering the tasks vested on the auditing bodies, it is understandable that the members of the auditing bodies are subject to independence requirements and to incompatibilities (as previously discussed when addressing the audit committee), while the auditors must be certified chartered accountants registered with the Chartered Accountants Association. Such requirements were increased with Law No. 148/2015, of 9 September. Directors are required to annually produce and disclose to the shareholders, which approve the same, the accounting documentation of the company, which includes the submission by the BoD to the SGM of the annual accounts, the attachments to the annual accounts (where the directors are required to disclose, if the company’s accounts do not follow IFRS rules, all transactions with related parties) and the annual management report (where the directors are required to disclose, among others, the authorisations granted to transactions between the company and its directors and the financial risk coverage policy of the company). However, directors are also required to disclose to the shareholders other situations, such as if the company is under thin capitalisation (loss of more than half of the company’s share capital), upon which the directors are legally required to call an SGM. This information needs to be made available to the shareholders in the company’s head office and internet page at least 15 days (21 days for listed companies) before the date of the SGM, and afterwards needs to be mailed to the shareholders representing at least 1 per cent of the share capital. During the SGM, the shareholders are also entitled to request information deemed necessary to duly decide. In addition, shareholders are generally entitled to obtain relevant information concerning the company from the directors if holding, by itself, at least 1 per cent of the share capital or, together with other shareholders, at least 10 per cent of the share capital. This information is afterwards required to be available in the company to the other shareholders. Failure to provide the information required entitles the shareholders to judicial relief. For listed companies, further disclosure obligations towards the market are imposed on the company and its directors, including from an accounting nature (with the obligation to disclose such information on a different timely basis) and also any information that may have an impact on the value of the securities being traded (which must be disclosed immediately to the market). There are, however, certain situations that may legitimise a delay in the disclosure of the information to the market. Notwithstanding CMVM being responsible for organising and making available to the market the information disclosed by the listed companies, such information shall also be included on the company’s website and, preferably, also made available in English. The PSC also requires that listed companies include in the annual management report a chapter concerning the company’s corporate governance structure and practices, detailing, among others, the share capital structure; identification of limitations on transfers and special rights attributed to shareholders; voting rights limitations (even arising from shareholders agreements of which the company is aware); relevant agreements entered into by the company and its employees or the members of the corporate bodies; and the identification of the matters included in the CGC with which the company is not complying (including the justification for such non-compliance). This comply-or-explain model is of relevance in the assessment of the implementation of the best practices foreseen in the CGC. Moreover, under the CGC, companies are also urged to put in place a permanent contact with the shareholders, its investors and other market stakeholders in general, and to put in place adequate systems to ensure that the relevant information is produced and disclosed in a timely manner to the relevant stakeholders. As already discussed, the directors are responsible for disclosing to the shareholders in the annual accounting documentation the financial risk coverage policy of the company, together with the detailed description in the management report of the risks and uncertainties that the company faces or may face, assessing not only financial risks but also other non-financial matters, such as of a labour or environmental nature, which can affect the company’s situation. Therefore, albeit indirectly, directors are always responsible and accountable for such risk management, with the auditing bodies being responsible for the supervision of such risk management as well. Other sector-specific legislation also requires companies to create risk management mechanisms. For instance, risk management committees are mandatory for credit institutions with a significative dimension, internal organisation and nature, and scope and complexity of their activities, which are composed of non-executive directors with specific knowledge adequate to fully understand and monitor the risk strategy of the company. On other credit institutions, the tasks of the risk management committee are carried out by the auditing bodies of the company. The CGC also requires that the companies put in place adequate risk management and internal auditing systems, adequate to the company’s dimension and the complexity of the risks associated with the company’s activity. In addition, directors are required to perform their mandate with a view to achieve the company’s interest, which results from the assessment of, not only the shareholders’ interest, but also of the interests of other relevant stakeholders in the company, such as its creditors and its employees. Moreover, especially among listed companies and other large public companies’, there is a move towards the implementation of corporate social responsibility programmes aiming to involve the company in the social concerns of the community. A special concern with integrity and ethical behaviour in the workplace lead also to the enactment of Law No. 73/2017, of 16 of August, pursuant to which companies with at least seven employees are required to put in place a code of good practice to prevent and combat harassment in the workplace. The SGM is composed of all the shareholders with voting rights and to which the more structural decisions concerning the company are attributed (e.g., amendments to the by-laws of the companies and distribution of profits). The SGM may adopt resolutions on matters that are specially assigned to it by-law or in the articles of association and that do not fall within the scope of powers of the other corporate bodies. The SGM may also deliberate on matters relating to the management of the company when requested to do so by the BoD. Each share carries one vote, unless the by-laws foresee either that: (1) one vote is attributed only to a certain number of shares, if it encompasses all shares of the company and that, at least €1,000 of capital is equivalent to one vote; or (2) foresee that votes issued above a certain threshold are not considered when issued by a sole shareholder when acting by itself or also when acting as representative of other shareholders. However, in the latter case, the CGC recommends that the by-laws foresee the obligation to review such voting rights limitation at least within every consecutive five-year period. Multiple-vote shares (i.e., having shares that grant more voting rights to its shareholders than other shares which also grant voting rights) are not admissible under the law, although certain authors have recently come to challenge the applicability of this limitation to listed companies, namely if such limitation was eschewed for loyalty-type securities. There is as yet, however, little market-practice in the granting of special rights (including rights to privileged dividends) to long-term shareholders. In addition, shareholders are legally required to vote or abstain using all the shares they hold in the company and cannot split their voting rights to issue different votes in respect of the same decision. Dissenting shareholders have the right to exit the company against the payment of a monetary consideration in certain situations legally defined, such as: (1) when the shareholder votes against the transfer of the corporate seat to another country; or (2) if the shareholder voted against the merger, demerger, transformation or return to operation of the company after winding-up proceedings are initiated and such exit right is provided for in the law or in the by-laws. Inclusion of other exit rights in the by-laws is not accepted by some scholars, for which dissenting shareholders would need to rely on mechanisms agreed in a shareholder’s agreement. Shareholders are required to not take part in any decision when, among others, it pertains to any: (1) waiver of any obligation of the shareholder, whether as a shareholder or a member of other corporate bodies; (2) dispute between the company and the shareholder; (3) dismissal, for just cause, of the shareholder as member of a corporate body; or (4) any relationship between the company and the shareholder outside the corporate relationship. Other than the foregoing, and without prejudice to a general duty to act in good-faith, shareholders are not subject to any specific duty of loyalty or diligence towards the company or its stakeholders. There is also no code of best practice for shareholders. However, the shareholders are not entitled to influence the BoD (unless a decision by the shareholders on managerial matters is requested by the BoD), and any shareholders exerting such influence (i.e., shareholders that by themselves or under a shareholders’ agreement have the right to dismiss a director and have determined such person to act or not act in a certain way) will be, with the influenced director, jointly liable to the company, its shareholders and its creditors for such influence if the same determined the BoD to adopt a decision detrimental to the company’s own interests. This also applies to the influence by the shareholders over members of the auditing bodies. Shareholders are also subject to joint liability with the persons they appoint (when able to determine by itself or under a shareholders’ agreement such appointment) as directors or members of the auditing bodies when the same are not fit for the performance of such mandate. Among other rights, under the PCC shareholders are entitled to bring actions on behalf of the company against those members of the corporate bodies that have breached their duties if the company fails to initiate such actions. However, possibly because of the existence of controlling shareholders in most Portuguese listed companies and to the legal powers attributed to shareholders under Portuguese Law (namely, with a direct or indirect say on the remuneration of the corporate bodies), shareholder activism is limited and usually reveals itself only at the annual SGM. As such, proxy battles and shareholder campaigns are not common. Companies usually include defensive mechanisms in their by-laws against takeovers, such as the granting of preemption rights to the existing shareholders, the requirement for the company’s consent to a transfer of shares and limitations to voting rights. For listed companies, the PSC provides for a ‘board neutrality rule’ of sorts, pursuant to which, as from the moment the BoD is aware of a decision to launch a takeover bid over more than one third of a specific category of the company’s share capital and until the conclusion or prior ending of the takeover process, the BoD cannot take on any decisions outside the normal management of the company that may significantly impact the purposes of the bidder. This rule can, however, be bypassed by a decision of the SGM expressly convened with the purpose to decide on such actions and approved by two-thirds of votes issued. More importantly, this rule is not applicable to Portuguese companies if the offer is made by a company from a foreign country where such ‘board neutrality rule’ is not in force. Breakthrough rules of sorts also exist, allowing Portuguese companies to choose to provide for in their by-laws that restrictions (whether arising from the by-laws or shareholders agreements) applicable to the transfer of securities and to the exercise of voting rights in the company are suspended regarding a takeover bid and that if the bidder acquires more than 75 per cent of the company’s share capital with voting rights, following the takeover any of those limitations to security transfer and exercise of voting rights cease to apply to the bidder. These limitations, if adopted, are valid for an 18-month period and need to be subsequently renewed by a decision of the SGM. Failure to adopt this provision ensures that the by-laws of such companies cannot require that any decision to change or eliminate restrictions to the sale of securities or the exercise of voting rights must be approved by a majority of more than 75 per cent of issued votes. With Decree-Law No. 20/2016, of 20 April, financial institutions (other than savings banks and mutual agricultural credit banks) are required to decide on the maintenance of any voting rights limitations included on their by-laws every five years, the decision to be made by simple majority if proposed by the BoD. Failure to take that decision until the end of each five-year period renders the limitation null and void. In addition, the PSC also requires that any shareholder agreement in respect of listed companies which aims to ensure or to prevent the success of a takeover bid is disclosed to the CMVM – failure to do so renders any decision approved with the votes issued in execution of such agreements null and void. Moreover, the PSC also requires that the BoD issues a report (to be made available to the public) upon receiving a takeover bid stating the BoD assessment (duly justified and impartial) of such offer, including the information of any negative votes to said report, but does not limit that the BoD searches for another investor (in fact, expressly acknowledges so). Staggered boards (i.e., boards where the directors are appointed to different terms of office) are not common, since (1) the BoD is generally appointed as whole and, for some scholars, directors cannot be appointed to a term exceeding the term of the BoD, and (2) shareholders have full control over the possibility to dismiss at all time the members of the BoD. As discussed above, primary contact between the BoD and the shareholders occurs at the annual SGM, where directors usually take part. Other formal contact opportunities may arise from the exercise, by the shareholders, of their right to information. Corporate governance will continue to be a significant concern for companies and their stakeholders in the times to come, both for listed and non-listed companies, especially as regards risk management, transparency and remuneration schemes. 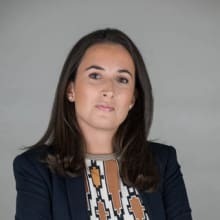 It is foreseeable that the impact of entities such as the CMVM and the BdP will continue to be of significance in the setting of new roads ahead on corporate governance in Portugal. 1 Paulo Olavo Cunha is a partner and Mariana Ferraz Viveiros and Cristina Melo Miranda are associates at Vieira de Almeida (VdA).